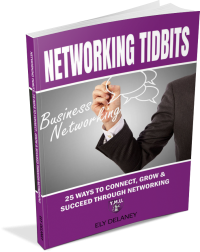 Grab Your Copy of Networking Tidbits Today! Available On Amazon Now! 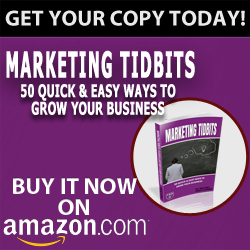 If you’re in business and are running in a thousand directions to get things rolling, this book is just for you. 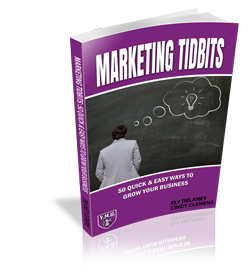 Every marketing tidbit in this book is designed to keep it simple and show you that marketing is in everything we do. Read this book one chapter at a time and take action immediately. With the right network of people you can generate unlimited referrals, find top notch vendors, and find clients that will be raving fans for years. This book is written to give you action steps that you can take immediately to get the most out of any networking you do. Small Business Marketing Quicktip: Are You Using Both Online AND Offline Followup? 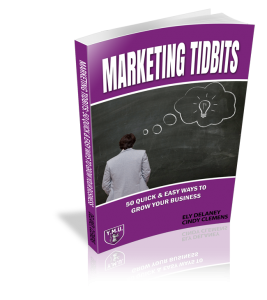 Small Business Marketing Quicktip: Are You Committing The Biggest Marketing Failure? Do Your Homework & Impress Your Prospects, Clients And Even Team Members! Are We Having Fun Yet? You’ve got to make it fun if you’re going to stay motivated!